"Nice to stay in this hotel , great location"
Have a question for Ibis Balikpapan Hotel? Designed for both business and leisure travel, Ibis Balikpapan Hotel is ideally situated in Balikpapan City Center; one of the city's most popular locales. 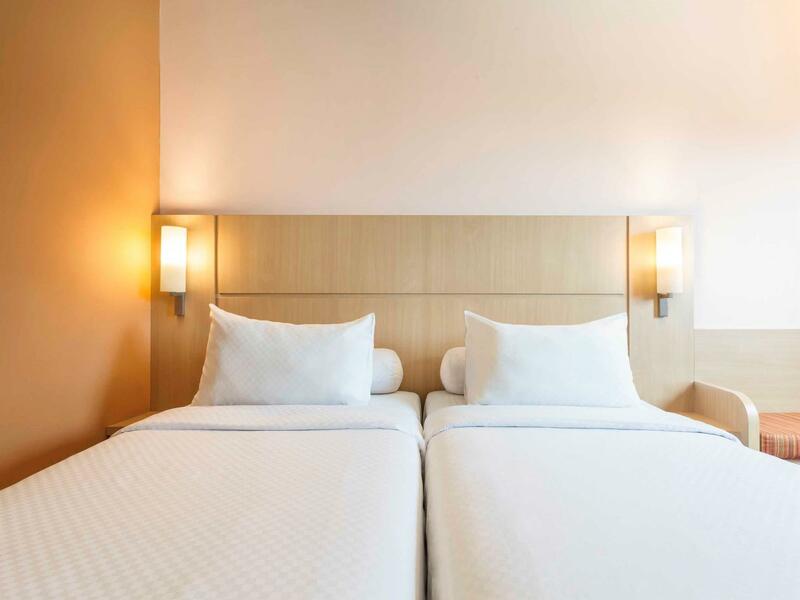 Set 0 km from the excitement of the city, this 3-star hotel commands an excellent location and provides access to the city's biggest attractions. A haven of rest and relaxation, the hotel will offer total renewal just steps away from the city's numerous attractions such as Balikpapan Plaza Shopping Center, E-Walk Balikpapan Superblock, Monument Perjuangan Rakyat. Accor Hotels is renowned for its quality services and friendly staff, and Ibis Balikpapan Hotel lives up to expectations. A selection of top-class facilities such as 24-hour room service, free Wi-Fi in all rooms, 24-hour security, chapel, convenience store can be enjoyed at the hotel. Step into one of 155 inviting rooms and escape the stresses of the day with a wide range of amenities such as television LCD/plasma screen, separate living room, internet access – wireless, internet access – wireless (complimentary), non smoking rooms which can be found in some rooms. The hotel offers an excellent variety of recreational facilities, including fitness center, outdoor pool, spa, massage, children's playground. 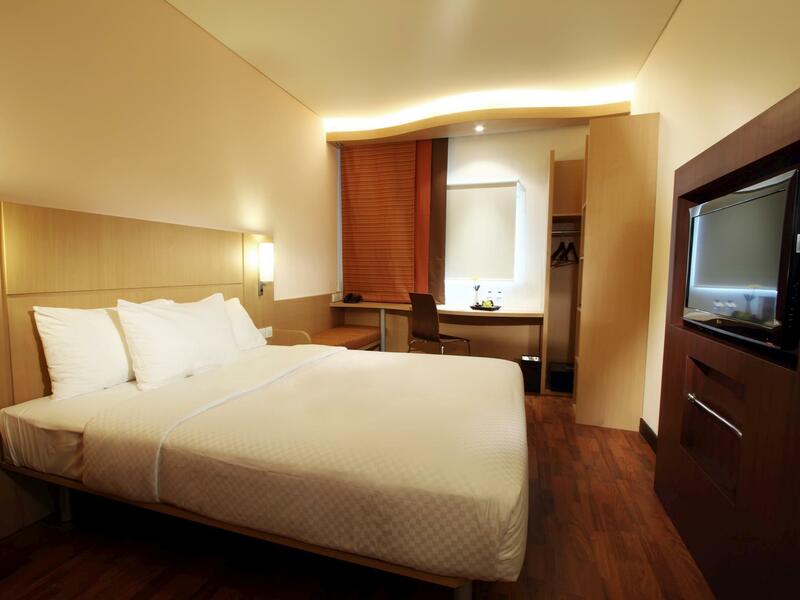 Ibis Balikpapan Hotel is an ideal place of stay for travelers seeking charm, comfort and convenience in Balikpapan. "Located in the center on the city, nice view to the ocean"
We were pleasantly surprised by the Ibis Balikpapan Hotel, Very clean, a comfortable bed, really nice breakfast spread, The Bathroom is a little small but functional and squeaky clean. The staff are friendly and caring, we felt unhurried and well looked after, As a Bonus Ibis patrons have the free use of Novatel Pool and Gym, and are invited to rub shoulders with the Rich and Famous at the Novatel (which is right next door) on every Thursday night for a little Party, nibbles, and live Music. We will definitely be back. Great price when you pay cash or book direct with accor Ibis -- same as agoda, or slightly cheaper. Plus you get their points. If you book with agoda, accor does not not credit you. This one much like every Ibis, and it is new and located next to sister property, the Novotel, where you can use their gym. Free shuttle to airport. Hotel set back from the main road, bit of a walk, but you don't get street noise in room. Smell of smoke even on the non-smoking floor. Cigarette burns on bathroom sink in non-smoking room. Anyone with a low tolerance for cigarette smoke, might be a problem for you here. 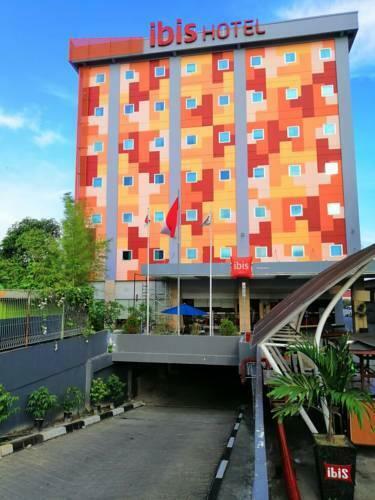 It is a very recommended Budget Hotel in Balikpapan. we can enjoy the facility of the neighboring Novotel with a budget price. The hotel is not far from Shopping Malls and Seafood Restaurant. A good place to enjoy Balikpapan. Just for transit to catch early flight to Jakarta. The Hotel is ok, but a little bit dark in their exterior connected to Novotel, a nice pedestrian passage will be great, since they donot provide any pedestrian it we want to walk arround. We were in Balkpapan visiting the Orangutan at BOS Foundation - Samboja Lestari which I can well recommend!!!! - truly amazing and great to be able to photograph them freely in close to their natural habitat We stayed at the Ibis one night either side of our visit to the Samboja Lodge so we were close to the airport and the city center. The hotel was clean, safe and very nice to stay in with wonderful beds sky tv and it was very reasonably priced on Agoda. hotel service and room condition are nice, far beyond my expectations, for its relatively less price. Maybe be not to good for family with kids, as there's no much space for children to play in the hotel. I was not expecting a communal bathroom / shower type accomodation - we were fortunately upgraded to rooms with our own bathroom and shower.. it was more like a back packers than a hotelThe hotel is close to the city. and many restaurants nearby. I used this hotel for transit. It locates in city center, so a little bit far from Balikpapan airport. But hotel staff smoothly arranged for transportation. A room is small however, it clean and equipped sufficiently for stay. WiFi is stable without any stress. In short, reasonable priced hotel. Near restaurant, view to sea and can used novotel swiming pool. Im very happy stay in ibis balikpapan. Easy to request late cekout. Easy to find restaurant, although you should walk 5minutes to complex where the restaurant where there. You also can used Novotel swimming pool facility, because the hotel is side by side. From hotel to airport is only 30 minutes. We stayed at the ibis for two nights in Balikpapan. We chose it because we could use the facilities of the Novotel for half the price. It didn't disappoint. I was soooo impressed with the staff!!! They were so helpful spending an hour helping us set up our tour of the nature surrounding Balikpapan. There is one thing that you should not miss if you visit Balikapapan, Samboja orangutan sanctuary. From the Ibis it is a 200,000 rupiah taxi each way and you need to call ahead to the lodge to schedule a tour (550,000 rupiah a person) OR stay a night at the lodge (855,000 a person/night) and enjoy a free tour plus three meals included. Samboja was the best place I had ever been!!! Baby Orangutans in diapers!!!!! I will never forget my time in Balikpapan, especially the staff at the ibis, who made everything happen for our unforgettable trip!!! Especially Lucia, she was the best hotel reception lady I have ever encountered!!! If you are in Balikpapan for business the security was supurb! The gym was stocked with brand new equipment and was immaculately clean. The pool was beautiful!!! The staff=AMAZING!!!! The stay was overall comfortable with a simple no frills room. However the bathroom condition could be improved. the water in the shower would not drain in my room and the bathroom had a bad smell. other than that overall service was fast and accurate. cant expect more for that price.